As the government shutdown drags on, furloughed government employees are facing mounting household bills, from mortgage payments to utility bills — thousands of people are being impacted in the Baltimore area. Our friends at Living on the Cheap have rounded up a list of companies that are offering some payment solutions for those of you who are on government furlough. We will continue to update this list as more information comes in. Bank of America: Federal workers can contact Bank of America through a special line, 844-219-0690, to discuss their options. More information . Capital One Bank: “Capital One® is here to help customers who are experiencing hardship as a result of the federal government shutdown,” says the website. We want to do our part to support individuals and families in need during this stressful time.” Call us or visit any of the locations in your area for further assistance. Chase: Federal employees affected by the partial government shutdown should call 1-888-356-0023 to talk with a representative about their options, 1-888-356-0023. TD Bank: Federal employees, contractors, as well as those who receive federal benefits can enroll in TD Bank’s Payment Assistance Program. The program can help you meet your day-to-day financial needs and provide access to additional funds “at no cost, late fee refunds on most TD Bank Visa credit cards, mortgage, home equity, auto or personal loan assistance, and flexibility on small business loans or lines of credit,” according to the website. U.S. Bank: The bank urges customers affected by the shutdown to call a dedicated number, 877-760-6046, for help. U.S. Bank announced a new low-rate, quick loan product designed to help customers who are federal employees needing special assistance during the U.S. government shutdown. Wells Fargo: Customers are advised to call 1-800-TO-WELLS, or the number on their credit card, debit card or statement for assistance. Or go to any Wells Fargo branch. In addition, you can go to this page to view a list of numbers to receive help on specific loans such as mortgages, home equity loans, or auto loans. A few telephone companies say they will help to come up with payment solutions for their customers who are on government furlough. Contact your company and ask for more information or help with bill payment. ATT: “For our customers affected by the shutdown, you are eligible for flexible payment options to keep your service running,” states the website. “Just because the government shut down, doesn’t mean that your phone, TV, and internet should stop working too.” ATT also lists Direct TV as a part of this offer. Go here for links to start the process. Sprint: This news release states that Sprint Customer Care plans to work with customers who are currently furloughed. They will help to come up with short-term payment solutions. Government workers can call Sprint at 888-211-4727 or go online to chat with a Care representative. T-Mobile: The T-Mobile website states that customers who are “Federal government employees and need short-term account assistance can work with T-Mobile Customer Care representatives on solutions tailored to meet their needs, including flexible payment options that allow customers to spread their service payments over time.” Government workers can call T-Mobile at 1-877-746-0909 to discuss options. Verizon: Nancy Clark, senior vice president of customer service, says this: “To those federal government employees impacted by the government shutdown: we’re here for you… Verizon is standing by to help with flexible payment options to keep your service running. Our Promise to Pay program allows you to set a future date for payment quickly and easily.” Government workers can join Verizon’s “Promise to Pay” program and set a future payment date. You can sign-up using the Verizon app or by calling 1-866-266-1445. Read more here. Hunger Free America : Employees or contractors of the federal government, or anyone supported by a federal employee or contractor, can call the toll-free number 855-859-4647 from 9 am to 5 pm EST (or follow the link here to access an online button) to be connected with food resources in their area. PayitFurloughed.com: Local craft beer brewers started a site to help federal employees have a relaxing pint. You can donate to the beer fund, or have a free one if you are a federal employee who has been furloughed or is working without pay. Looking for ways to save money in the Baltimore area? 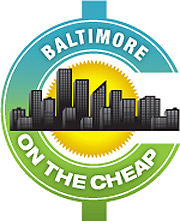 You can keep up with the latest deals, discounts and free & cheap events happening around Charm City by signing up for the Baltimore on the Cheap Newsletter. You can also follow us on Facebook and on Twitter.